The Aventador LP 700-4 has sold out the first 18 months of production, and China accounts for a fifth of buyers so far, CEO Stephan Winkelmann said. SHANGHAI -- Automobili Lamborghini S.p.A. will likely for the first time in 2011 sell more supercars, including the 255,000 euro Aventador, in China than in the United States, a sign of the Asian country's growing importance to luxury carmakers. The Aventador LP 700-4 has sold out the first 18 months of production, and China accounts for a fifth of buyers so far, CEO Stephan Winkelmann said in an interview today at the Shanghai auto show. Sales may grow further when deliveries start in the third quarter. "I believe that China will become our most important market this year," Winkelmann said. 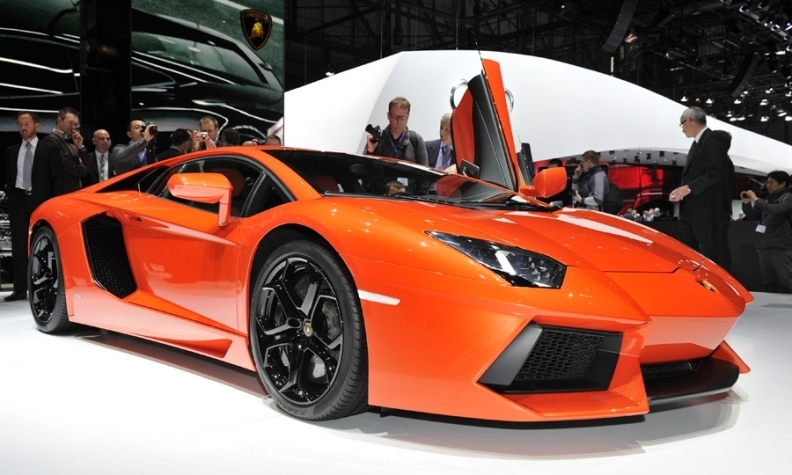 "Customer feedback on the Aventador is sheerly incredible here. There's more to come when the car visibly arrives." The Aventador, replacing Lamborghini's top-of-the-line Murcielago model, has a 700-hp V-12 engine that surges to 100kph (62 mph) in 2.9 seconds. The Volkswagen AG division, which competes with Fiat S.p.A.'s Ferrari, wants to decide by the end of the year whether to add a third model to complement the Aventador and Gallardo lines. Lamborghini is counting on the Aventador to help capitalize on surging demand for luxury autos in the world's largest auto market. The Sant'Agata Bolognese, Italy-based company is aiming to more than double China-based dealerships to 20 this year from nine in 2009, the CEO said. Lamborghini wanted to use a customer reception in Shanghai Tuesday to further stoke demand for the Aventador, which is priced at $364,000 in the United States. The carmaker will use the event to present a special edition called the Gallardo LP 550-2 Tricolore, limited to 150 cars to mark the 150th anniversary of Italian unity, the CEO said. The Gallardo LP 550-2 will be mainly sold across Asia. Global sales at Lamborghini fell 14 percent last year to 1,302 autos as the carmaker ended production of the Murcielago in May 2010. Chinese deliveries more than doubled to 206 cars from 80 in 2009.